etc Venues, The Hatton, 51-53 Hatton Garden, London EC1N 8HN. Please find below details of the fourth course in our programme on construction forms of contract. 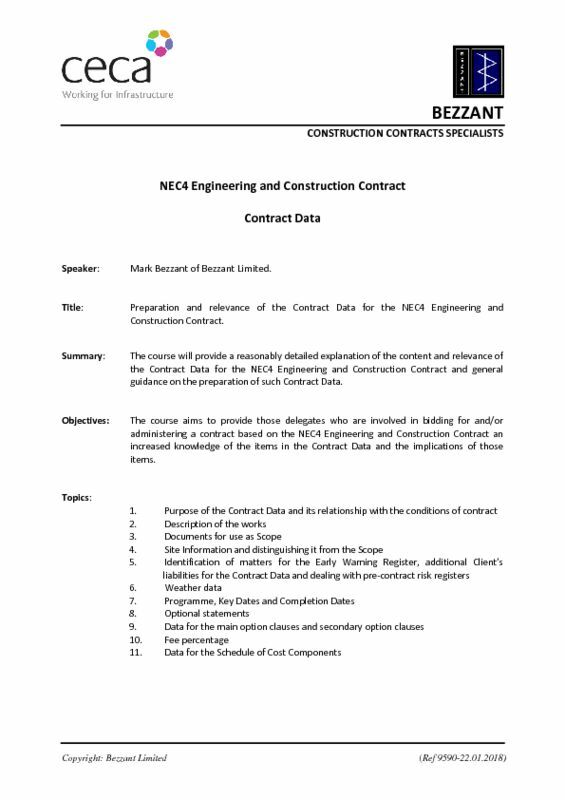 The course aims to provide those delegates who are involved in bidding for and/or administering a contract based on the NEC4 Engineering and Construction Contract an increased knowledge of the items in the Contract Data and the implications of those items.